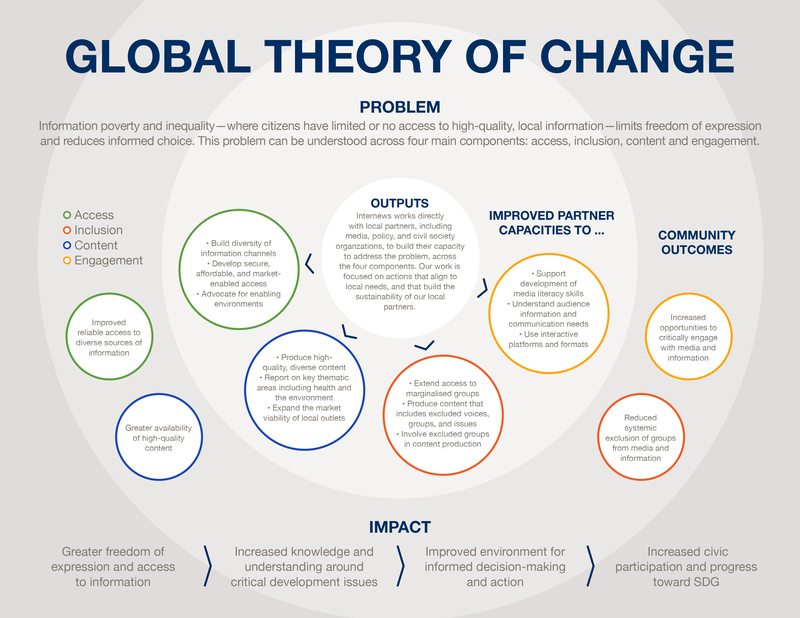 Information poverty and inequality—where citizens have limited or no access to high-quality, local information—limits freedom of expression and reduces informed choice. This problem can be understood across four main components: access, inclusion, content and engagement. Internews works directly with local partners, including media, policy, and civil society organizations, to build their capacity to address the problem, across the four components. Our work is focused on actions that align to local needs, and that build the sustainability of our local partners. Learn how information shapes lives through our stories, real-world accounts, research, and news articles.